With all the Diffusers on offer from Acoustics First® these days, this gem is sometimes overlooked: the QuadraPyramid™. 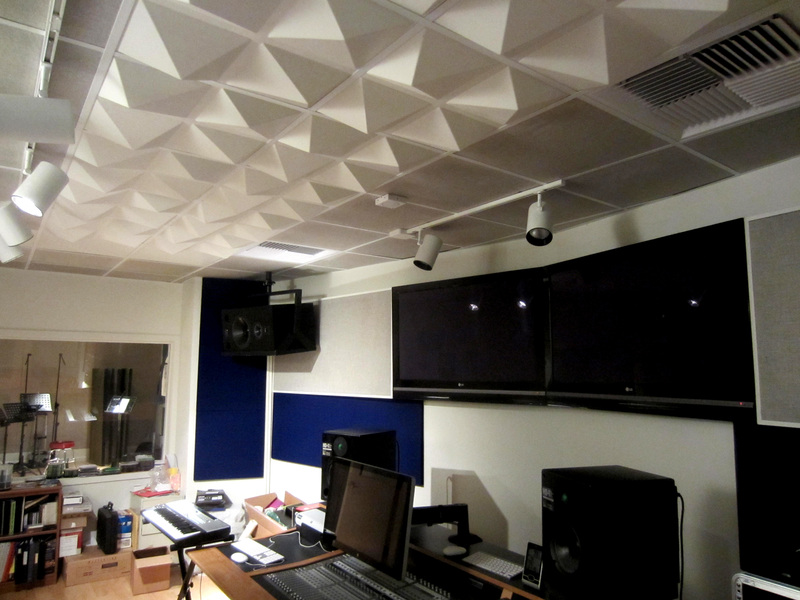 Here’s an install pic of a few in the ceiling of a control room at the University of the Pacific! There’s a reason why various pyramidal diffusers have been used for decades. They work, and they work well! The QuadraPyramid™ is our own take on this classic design, using four offset pyramids to create 16 angles of reflection on a single unit. 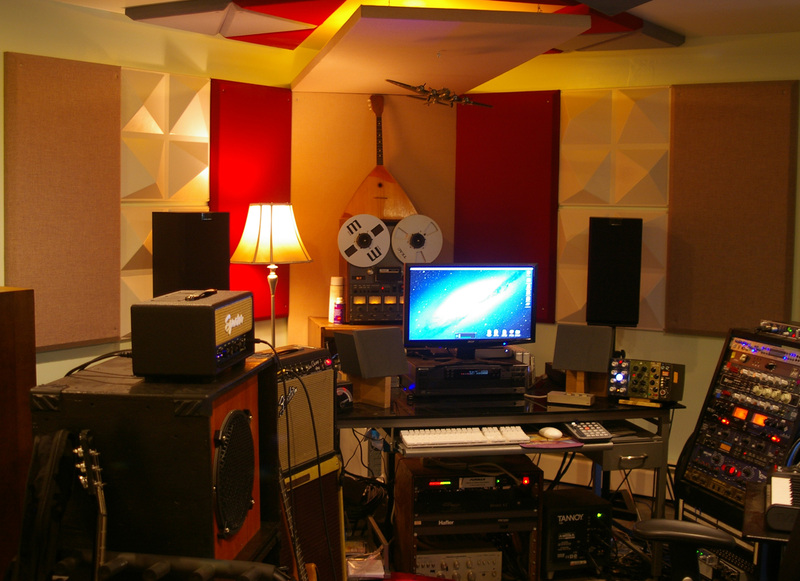 Also, when mounted directly to a wall, these diffusers can double as a ‘mid-bass’ absorber, like in the project studio below.